And a biiiig heartfelt apology to Borislava for this much delayed review ! I do not read romantic genre as a rule ( neither prefer romantic movies ) so for a change , I agreed to review this book. And Am i glad ? "Affairs of the heart" consists of two novellas - A love in time of war & "The last secret of ancient island "
Love in time of war is set in two cities Istanbul (Turkey) and Sofia ( Bulgaria) . Right from the setting of the time zone , the city architecture , the characters and the moods , the story draws you in. I had a little trouble getting used to the flashbacks and the present narration running parallel but once the plot was set , and you are introduced to Mustafa the soldier and Maria the unique lover , you will not want to leave the tale unfinished. The letters between Mustafa and Maria are one of the sweetest portions in the tale followed by the love they hold even when miles apart. I shed many a lonely tears as I read this tale and wished from heart to read of their joys ..
it dreamy? Or too romantic? Perhaps. But I don’t know any other way to express myself. After all, who else would send you messages through the wind, and shiver in the cold rain to get them to you? Who else would wake up every morning thinking of you? Who is the only one who would like to fill the alien world with warmth for your heart to beat? From her words, he could tell she needed reassurance. I still keep the amber rosary in my bag. Heaven knows why. For others I have only respect but for you I have heart. And I wondered , who writes like this now days .. I wish I could .. or some one would .. I wish to go on and tell a lot more about these two destined lovers but I would leave you to live their tale and feel every emotion of love , longing , duty , honour , pride and pain. This is one story I am never going to forget this year . 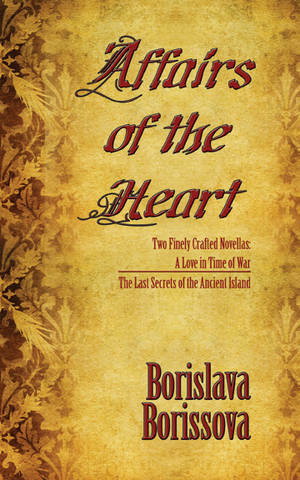 "The last secret of ancient island " is a tale of small island , the land of Etna volcano , the most active volcano nearby. Like the volcano , feelings were in action in the hearts of each character of the book - the brothers Mike and Ralph , Mike's love Kate , Kate's husband David , their son Bob , Bob's friend Al .. Every one contributes to the events that this tale talks about , with a crime linked closely to the town and the people living there. Its a story of dreams , search for identity and love , of ancient runis and the conversations whispered in and around the town. It talks of some one's dream at an age where people do not expect one to fight for their dreams. A bond of brothers to support each other , a person's interest in philosophy and anthropology , a common man's ideas on life around him , teenager's issues and craving for freedom , a bank robbery . A very fast paced story , that resonates sentiments , confusions and decisions of many of us in present times. Mysterious , sprinkled with good action and very heartfelt dialogues , the story mkes for a lovely read till the end. I totally enjoyed reading these tales though i read them almost a month apart. I infact loved reading the first tale again in bits and bytes as I wrote this review. Romance lovers , do read this if you want a heart warming tale for a lazy sunday afternoon . And others, please read it for the way Borislava narrates simplest of emotions with a grace that touches you immediately ..